Since last time, Canadian Thanksgiving descended and left, in its wake a trail of cranberry sauce. Sketches of people while in meeting. 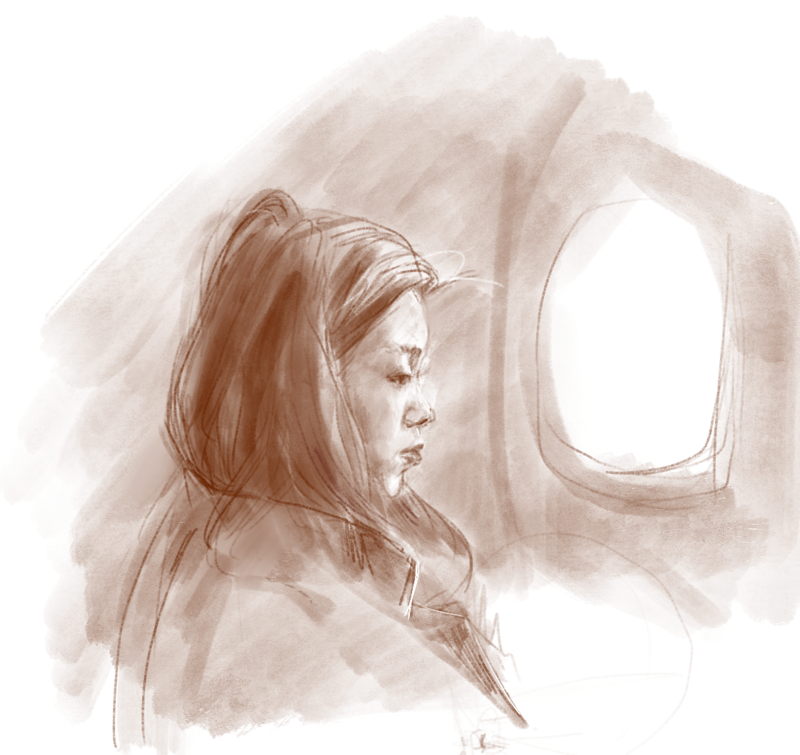 Plane sketch of my sister doing her homework on the plane (a miracle!). And now, the actual update. It’s been a while since the last one for this mega-checkbox. I feel like it should be more filled than it actually is… Only 29 more heads. Why did I do this? How many years will I take?? (Probably too many.) Why did I make the ridiculous “finished works only” rule??? Apparently no heads were drawn in 2015. You may see some unfamiliar heads, if you literally squint — they’re to come.